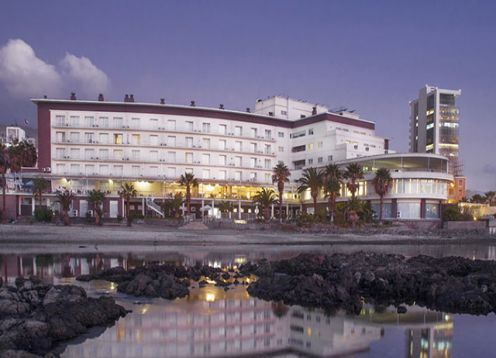 LARIM 2019 will be held in the Hotel Antofagasta, located in the heart of the city with a view of the Pacific Ocean. Hotel Antofagasta has more than 60 years of experience receiving guests and hosting national and international conferences in Chile’s mining capital and the cradle of astronomy for the Southern Hemisphere. It has a total of 160 rooms, with ocean and city views. Its terraces, which include a restaurant and bar, have a view of the Pacific Ocean. There is also an outdoor pool area, business center, a gymnasium, and access to the beach steps away from the hotel. Hotel Antofagasta’s Convention Center will host LARIM 2019 in three of its meeting halls: Pacífico, Baquedano and Cerro Moreno. Plus, the conference’s poster sessions will be held around the outdoor pool area. Shortly we will publish a list with different alternatives for hotel accommodation in Antofagasta, close to the Conference Venue, with special rates for LARIM 2019. You will be able to make your reservation directly with the hotel you choose.